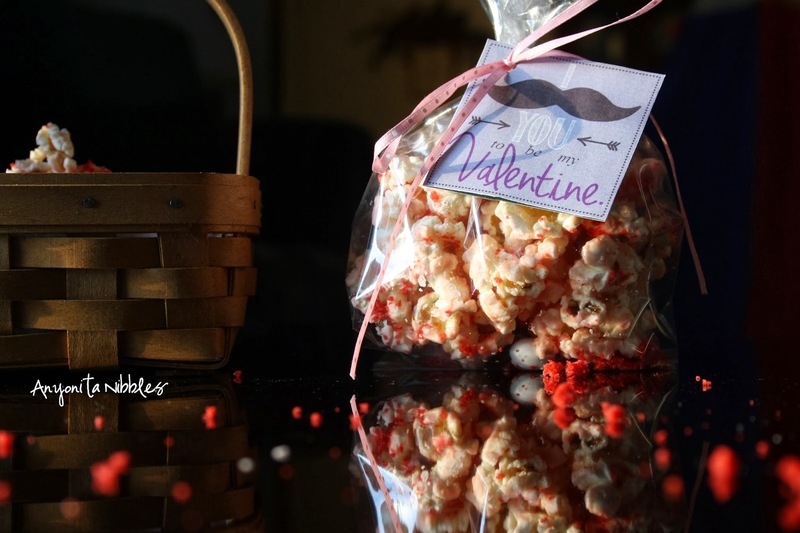 Microwave popcorn gets festive for Valentine's Day with crumbs of red velvet cake, red velvet M&Ms and melted vanilla candy! 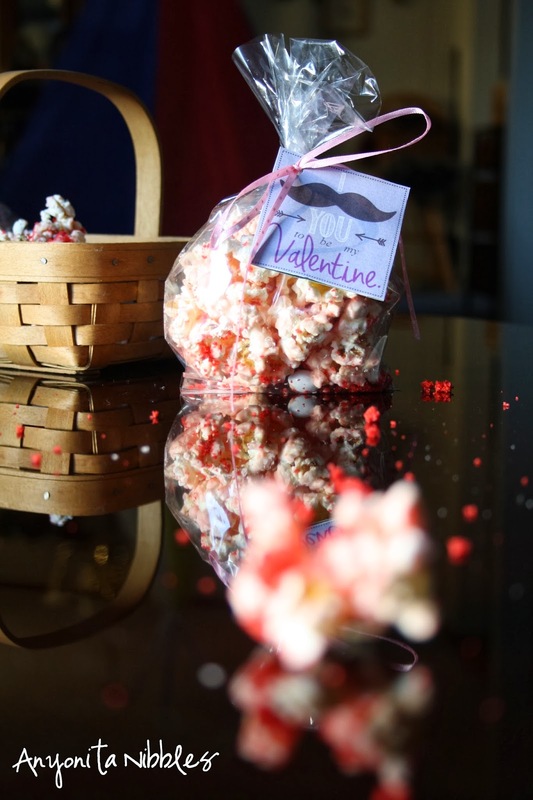 It's served with a fan-tache-stic Valentine's message to make someone's February 14th a little sweeter. Popcorn and cake are two of my all-time favorite treats. And since Valentine's Day seems to get paired with Red Velvet cake (which just happens to be another favorite of mine), it seemed like a great idea to bring these two together for a festive love day treat! Red Velvet is the star of this treat, appearing in the cake crumbs and in the Red Velvet flavored M&Ms. With this popcorn, you get sweet and salty--lots of sweet and just a little bit salty. 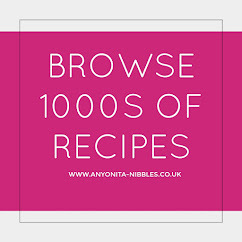 You'll need to make or buy a red velvet cake beforehand, so you'll have the crumbs needed. The red velvet M&Ms were picked up at Walmart. 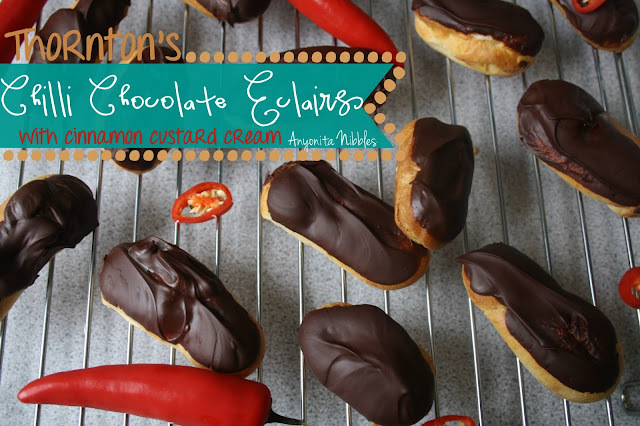 Unfortunately, I don't think they've made their way to the UK yet, so this recipe is especially for my stateside buddies. 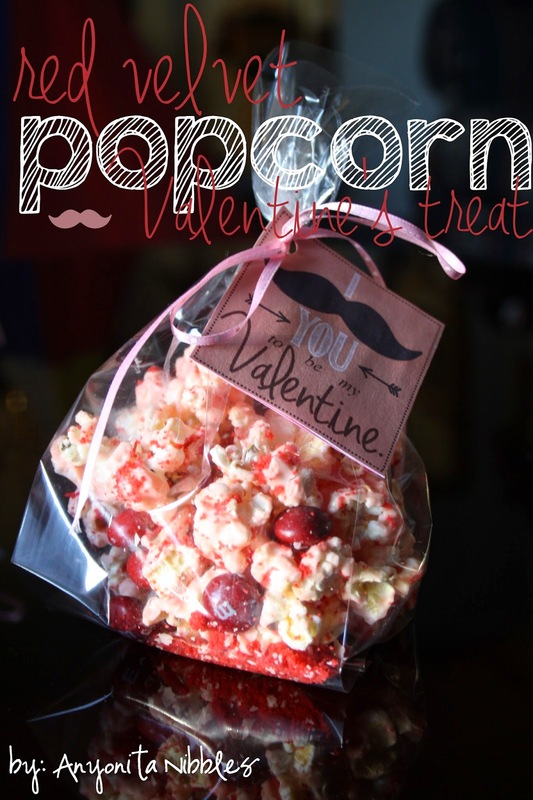 The melted candy binds everything together into lovely chunks of red velvety popcorn. 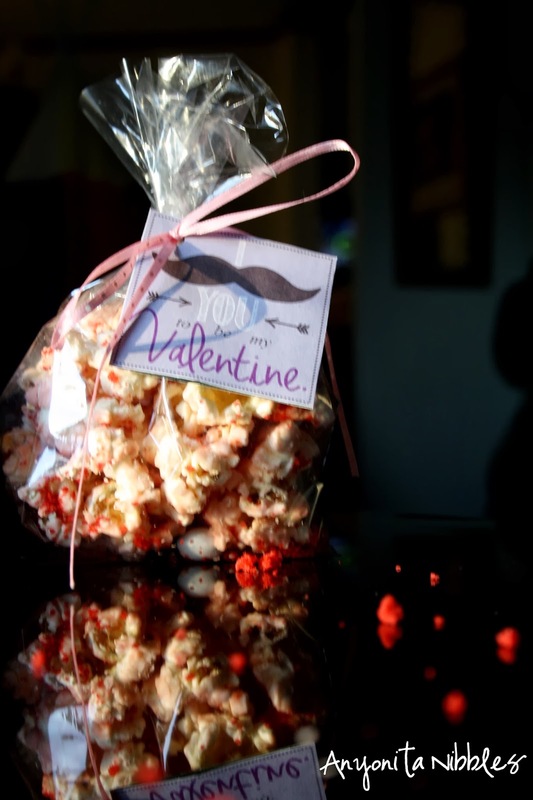 I've tied these treats with a simple ribbon threaded through a mustache valentine that you can print for free! The valentine says "I mustache you to be my Valentine" and it comes in four lovely colors for personal use only. 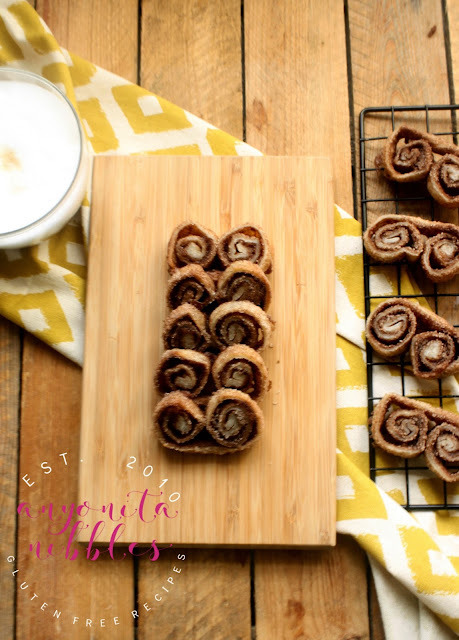 Get the recipe and the printable by clicking "read more"! And don't forget your Valentine's card! 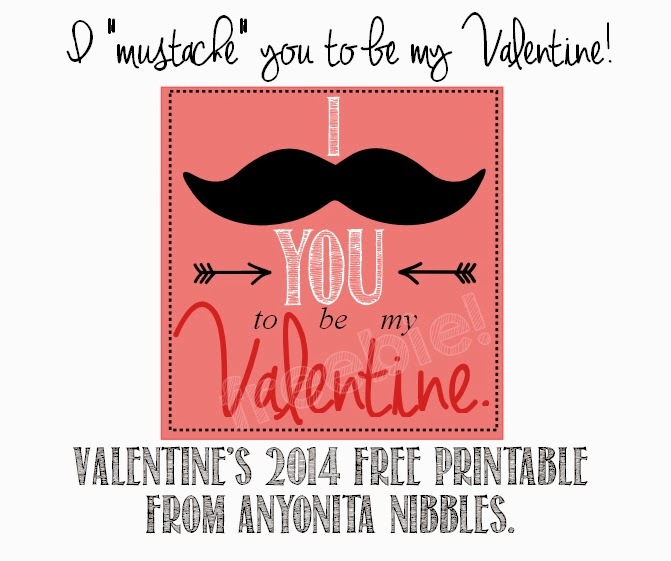 Here's the I mustache you to be my Valentine download! 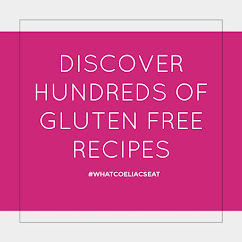 This recipe is completely new to me. It's so interesting; I must pin this for later! Thank you or the pin, Lynn! 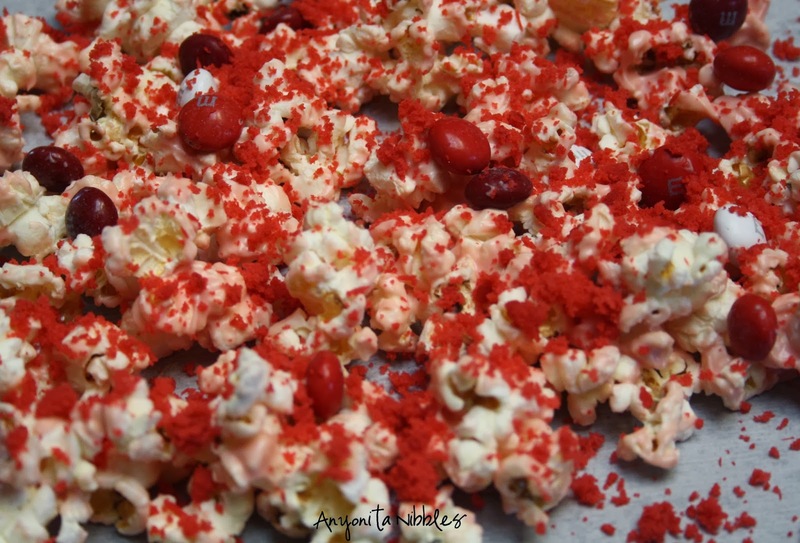 What an awesome idea to sprinkle the popcorn with crumbled cake! Thanks for sharing at Simple Supper Tuesday. This popcorn looks SO GOOD! 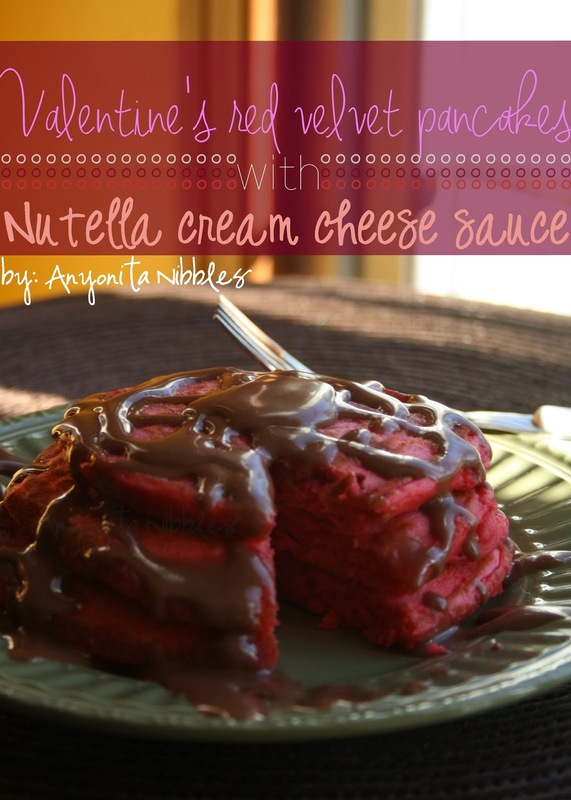 I'm pinning to my Valentine's board! 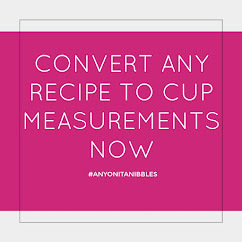 This is such a cute printable! 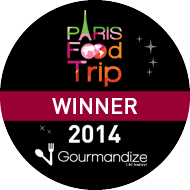 Love it, thanks! 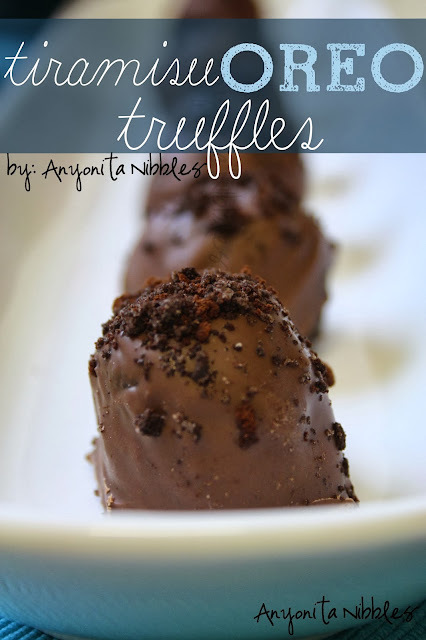 This looks scrumptious! 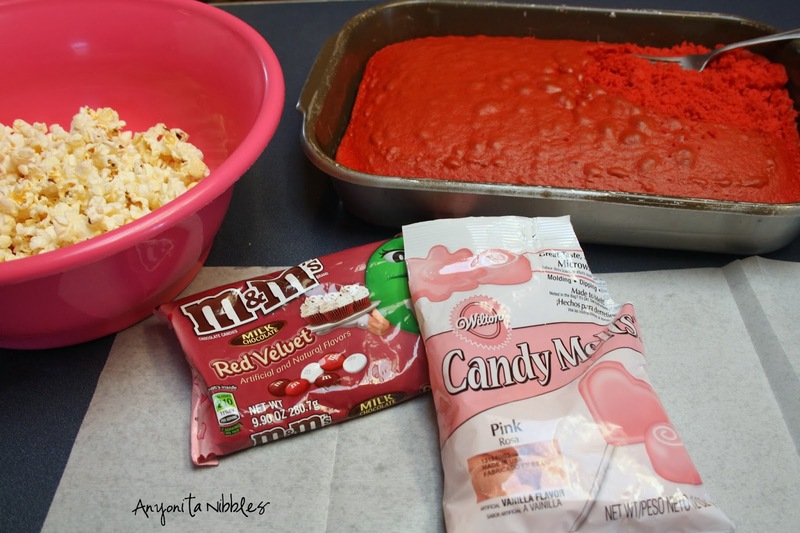 I love the flavor of red velvet cake and I never would have thought to pair that with popcorn. Great idea! Anyonita, popcorn is my absolute favorite treat and I love how you dressed it up in red velvet. Can't wait to try it out! Thanks, Amy! :) I can't wait to crumble up other kinds of cake to pair with popcorn! Thanks for sharing this with us at our Marvelous Monday Party! 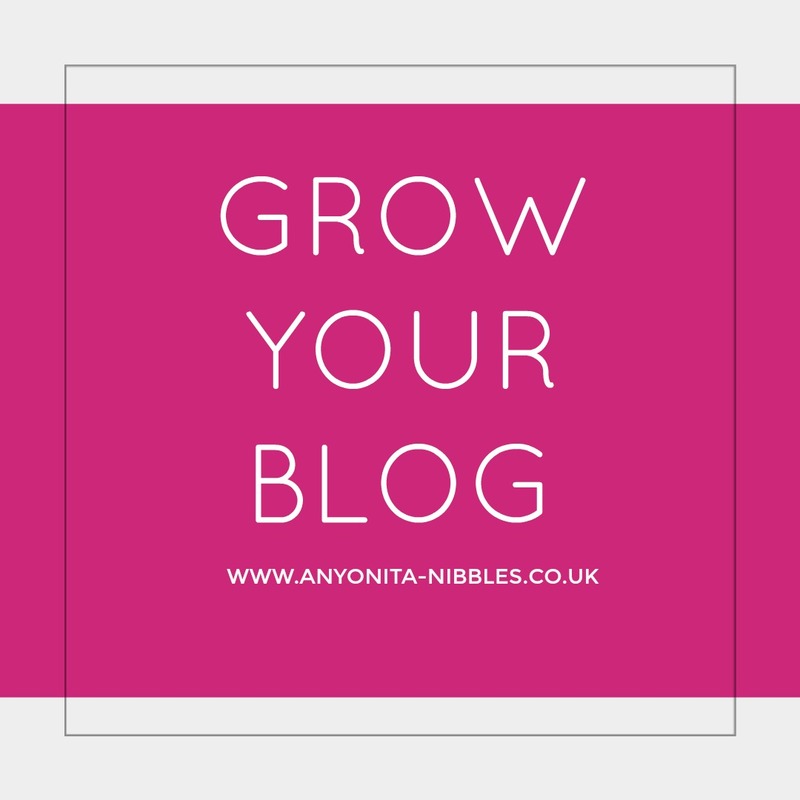 Pinning and hope to see you again next week! I'm a popcorn lover too! G'day! I could so go for some of this right now! So cute, Anyonita! 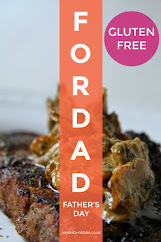 Thanks for sharing at Foodie Friends Friday! Love popcorn treats... This is perfect for Valentine's Day. 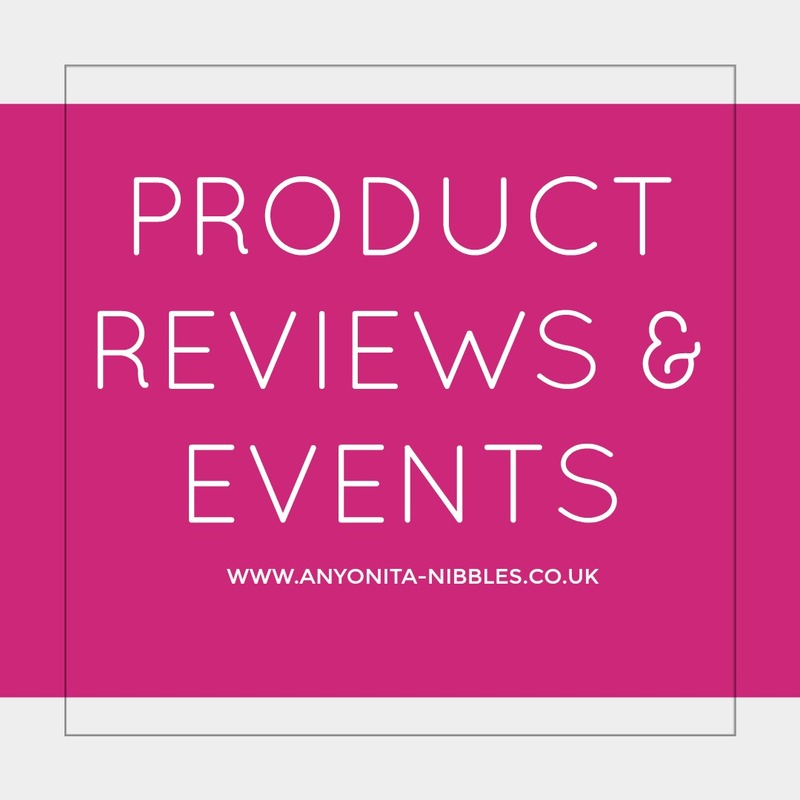 Thanks for sharing them on Foodie Friends Friday Linky Party and I hope that you will join us again this week for our Snack Food theme party. Oh my! This looks truly decadent. Popcorn is my go-to healthy snack - not any more! 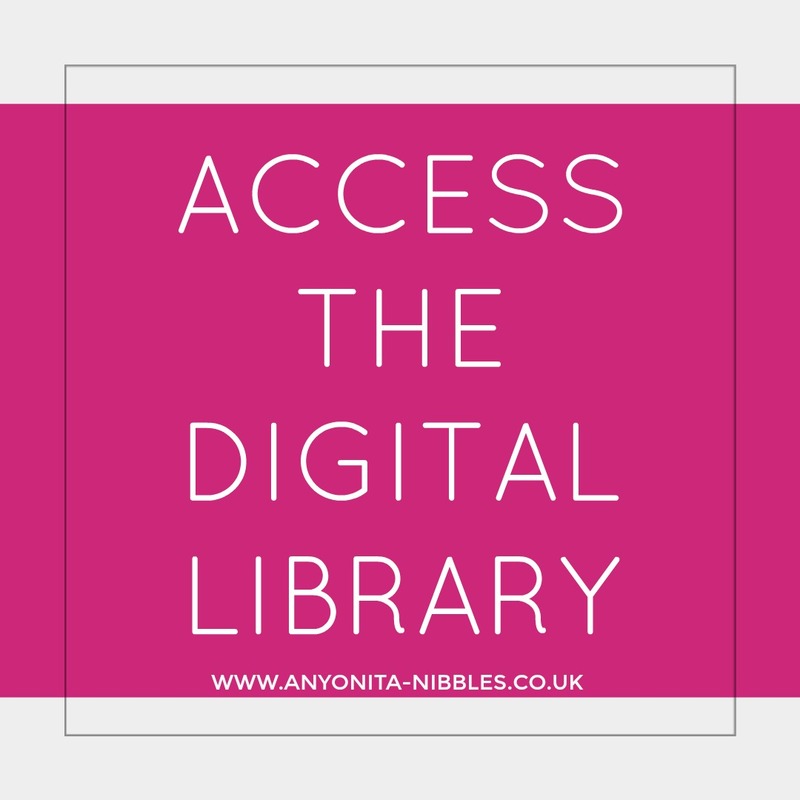 I'll now be adding all sorts of goodies to it!